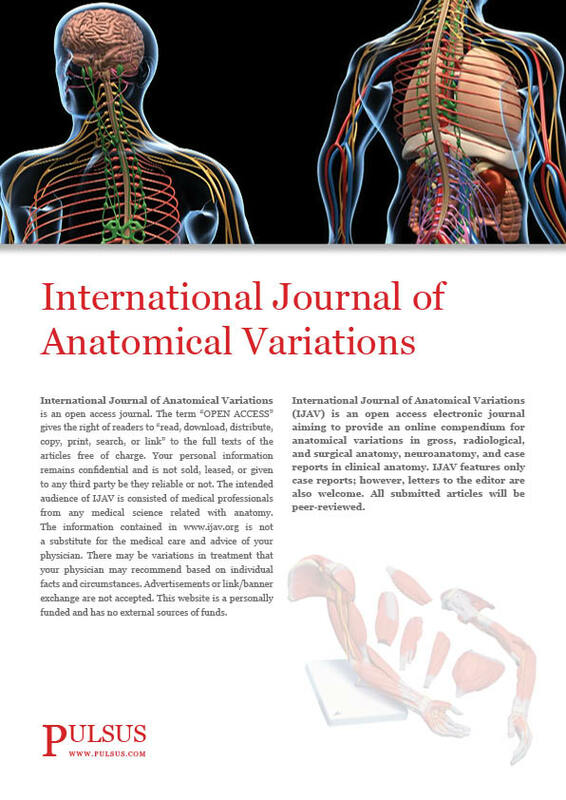 International Journal of Anatomical Variations (IJAV) is an open access electronic journal aiming to provide an online compendium for anatomical variations in gross, radiological, neuroanatomy, surgical anatomy, and case reports in clinical anatomy. IJAV welcomes research articles, review articles, short-communications, case reports etc for the publication. All submitted articles will be peer-reviewed.